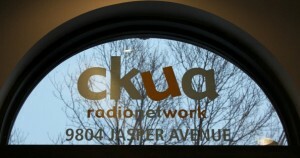 Experience a great University of Alberta invention: CKUA Radio! Come see CKUA’s broadcast facilities; learn about its new home in the historic Alberta Hotel; and experience its renowned music and archive collection of more than 1.5-million recordings spanning 120 years of music history. CKUA was founded in 1927 at the U of A’s Department of Extension as Canada’s first educational broadcaster and first ‘public’ broadcaster, pre-dating the CBC by almost a decade. For 88 years, CKUA has been a pioneer in Canadian broadcasting and today is Canada’s most successful community-based broadcaster. Your tour guide for the event will be Ken Regan, CEO of CKUA, a Senator with the University of Alberta and a Friend of the University of Alberta. Parking is available at Canada Place or nearby surface lots. Or, take the train (LRT) from University Station to Churchill station and stroll to CKUA which is just south of the Citadel Theatre. 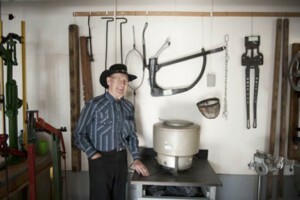 After spending over 40 years as an animal technician at the University of Alberta’s Edmonton Research Station on South Campus, Jack Francis decided that a museum was needed to preserve and showcase the agricultural research history and work at the University of Alberta and throughout the province. Through a letter to the dean of ALES 15 years ago Jack’s project came to life: the Agricultural, Life and Environmental Sciences (ALES) museum. Today, the museum is home to 400 artifacts that Jack has proudly collected and restored. 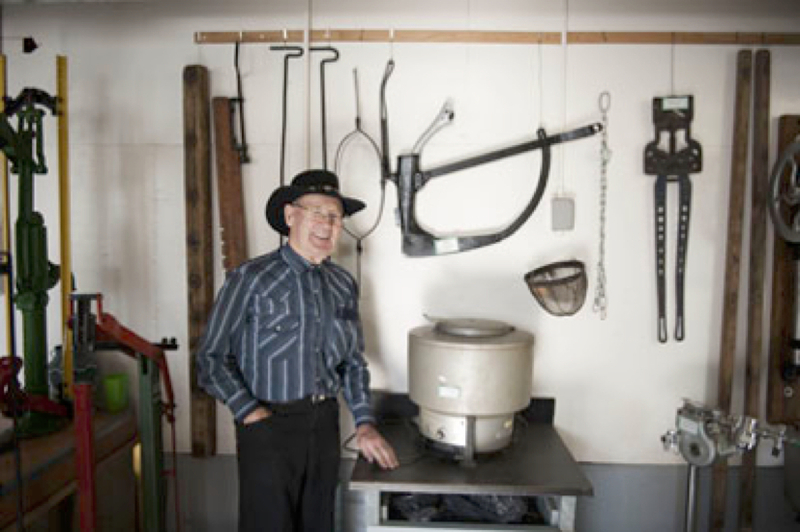 Jack witnessed many research advances and innovations throughout his career at the Research Station and felt it was necessary to document it and preserve this part of the province’s history for future generations. From a 1916 buggy that Jack restored to X-ray machines and other animal handling equipment, the museum honours the work of U of A agricultural researchers and Alberta farmers through the thoughtful exhibits of equipment and innovations that advanced the industry of animal research and farming techniques in the province. Join Jack Francis and the Friends of the University for a tour of the ALES Museum on Monday, October 5, 2015 from 4-6pm. 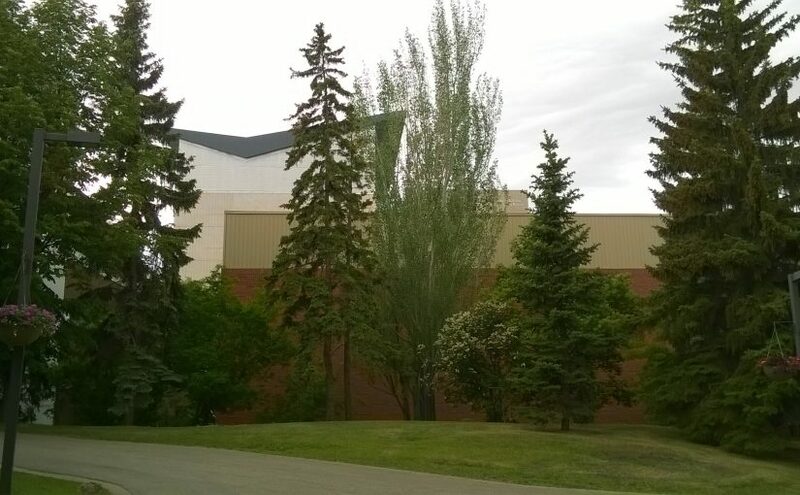 The museum is located in the old barn at South Campus, just north of the Saville Community Sports Centre (6647 – 118 Street) and parking is available. We will be meeting at the museum at 3:45pm and the tour will start at 4pm. This is a free event; however registration is required as space is limited to 25 people. Please register via an email to friendsofualberta@gmail.com. You will receive an email confirming your registration. Once maximum registration is reached, we will take waiting list names to advise of a second potential date once available. 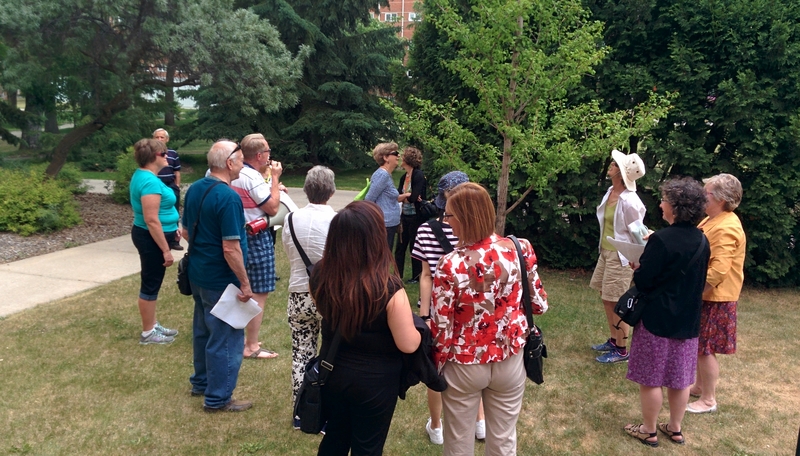 Monday, June 8, 2015 at 4 p.m.
where we will learn about some of the unique characteristics of the nature within the U of A campus. Wayne McCutcheon, University of Alberta’s resident horticulturalist and landscape designer will be your special host for the evening. He has walked the campus grounds since the fall of 1981. For the first 30 years of his time with the University he was Manager of Landscape Maintenance and Construction and since 2011 his primary focus has been as Project Coordinator for Landscape Services. His passion is overseeing landscape beautification and improvements to ensure a safe and pleasing campus for everyone today and for the next 100 years. 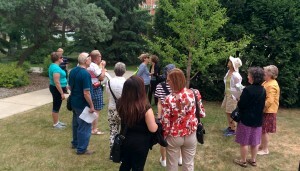 Topic of the campus walk: Campus Urban Forest – Trees and Interesting Landscape Features. For everyone who has been associated with the University of Alberta, its campus has a place in our memories – and its trees through the changing seasons are very much a part of those memories. Much of the original native forest which provided the back drop to the University’s first sod turning ceremony has disappeared as the University grew and grew. However, over the years many new trees have found their way onto campus, including several specimens not native to the Edmonton area. The campus has inherited a truly lovely urban forest of 4,000 trees. Join us and acquire some basic knowledge of some of the U of A campus specimen trees as well as a bit of landscape history while enjoying some fresh air, exercise, and camaraderie. We encourage you to ask questions, take pictures and relieve stress as you listen to the babbling brooks beside one or two of the seven campus water features. We look forward to sharing an evening of learning with you and connecting with U of A’s urban forest. Location: Meet at 3:45 p.m. in front of the Administration Building, facing the bus loop, at the University of Alberta’s North Campus.